The LA Dodgers baseball team recently sold for $2.15 billion making it the most expensive acquisition in the history of professional sports. 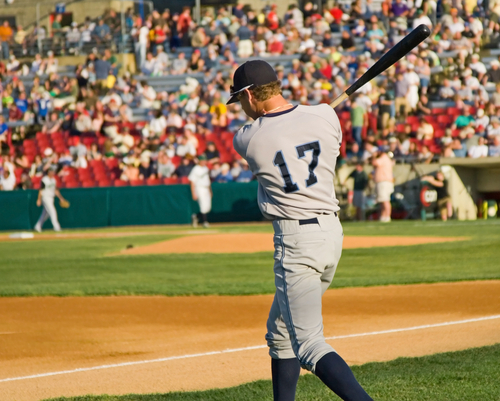 From the history and tradition of the game to what has become “big league” corporate business, Americans love their sport – baseball being one of the most popular. So here is a list of 5 great ballpark stadiums that baseball fans will want to visit. Heading to the United States? Let our partners at Well Travelled help book your flights, tours, cruises and more. Visit them online or call 1300 041 781 today. Located in Lakeview, just north of Lincoln Park, Wrigley Field was built in 1914 and has been the home of the famed Chicago Cubs since 1916. The outfield walls are covered with lush, green ivy, covering the historic brick walls during baseball season – and the occasional fly-ball that lands here may be lost in this beautiful tangled web. Holding over 41,000 seats, a unique view of the park is afforded from the flat rooftops of equally historic brownstone buildings that surround Wrigley Field. These bird’s eye views from outside the park were quietly tolerated for many years and savvy owners commercialised on their perch, selling tickets during game season. After a legal battle was settled between the ball park and surrounding building owners a peaceful settlement was reached with profits being shared. The rooftops now form part of the ballpark’s seating area, offering a unique ballgame experience. One of the most famous baseball teams in the world boasting 27 World Series wins to their name are the New York Yankees. Based in the Bronx just north of Manhattan, the original stadium was built in 1923 and closed in 2008. The new ballpark with over 52,000 seats was opened across the road from the original site in April 2009 and to date has been the most expensive ballpark ever created. At a hefty price tag of $1.5 billion, the new ballpark pays homage to the design elements and history of the original ballpark with all the mod cons. Baseball player warming up ready to play. Opening in 1912 and turning 100 this year, Fenway Park was added to the ‘National Register of Historic Places’ in 2012 and remains one of the oldest ballparks in operation today. Home to the Boston Red Sox with seating for over 37,000 fans, Fenway Park was not always the most popular stadium. Prior to 1967, Fenway Park was an outcast stadium with attendance dipping below 500 spectators during home games. But with the remarkable turnaround of the Red Sox, every home game has been sold out since 2003 giving it a Major League Baseball record. Fenway Park is now considered one of the best known sporting complexes in America today. Home to one of the youngest baseball teams, the Colorado Rockies, Coors Field was completed in 1995. With seating for over 50,000 fans it features 63 luxury suites and 4,526 club seats plus an underground heating system. Coors Field is famed for the most home runs including double and triples in Major Baseball League, all attributed to the low air density and high elevation of the stadium. Completed in 2001, Miller Park was one of the largest construction projects in Wisconsin’s history. It was built under a shroud of controversy when a state sales tax was introduced in the late 1990’s, making public funds available to help cover stadium construction costs for the privately held Milwaukee Brewers. Funding controversies aside, today stands one of the most beautiful stadiums around and one with some unique design features. A retractable roof is able to sweep open or closed within 10 minutes. During inclement weather an increase in temperature of up to 30F can be achieved once the roof is closed. Two oversized glass walls either side of the scoreboard provide natural sunlight to promote the growth of grass on the field. At home games during the seventh inning, fans chorus together to sing “take me out to the ball game” and of course “rollout the barrel”, a salute to Milwaukee’s great beer making tradition. After the game, the city itself is a must see destination, especially during the summer months when Milwaukee becomes “festival city” with almost weekly cultural festivals held on the shores of beautiful Lake Michigan. This is topped off with Summer Fest, one of the largest music festivals in the country. Be sure to read our article “Top 5 Must See U.S. Capitol Buildings” for further reading on Wisconsin and its stunning state capitol building in Madison. Let us know below of any other ball parks you think are worth a visit. Great article, one of life’s simple pleasures is an evening at a baseball game. We need to make a point of getting to Miller stadium. That is a very smartly written article. I’ll be sure to bookmark it and return to read extra of your useful info. Thank you for the post. I will definitely comeback.